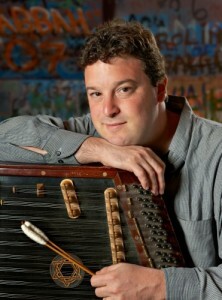 Pete Rushefsky is a world-renowned klezmer musician, performing on the tsimbl (a now-rare zither), and the director of New York City’s Center for Traditional Music and Dance (CTMD). Rushefsky oversees the CTMD’s archives, which contain a major collection of audio and video tapes, photographs and printed matter documenting research and programming of folk, ethnic and immigrant-performing arts traditions of cultural communities in New York City, from the founding of CTMD in 1968 to the present. 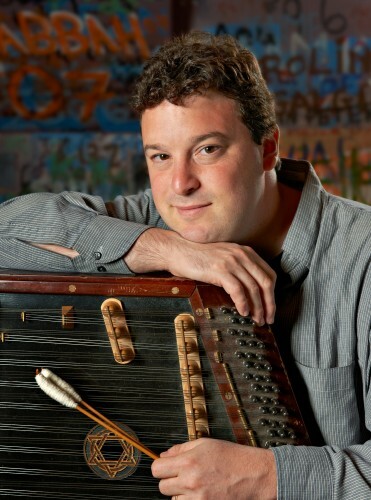 In his own performance work as one of few revivalist tsimbl players, Rushefsky draws heavily upon early recordings of klezmer music from the turn of the 20th century. By linking his performances to these historical source recordings, he builds bridges between klezmer’s past and present.